These fresh English peas and roasted radishes are a light and refreshing Spring dish inspired by the flavors and colors of the season and topped with creamy burrata ~ yum! I buy a lot of radishes. I can’t resist their vibrant (often purple) color and they come in all sorts of shapes, sizes, and colors. They stand out to me at the farmers market, like anything naturally pink and purple often does. Last week I found myself with a gorgeous abundance of radishes, this time sent to me by a farm that had picked up on my radish-loving ways. 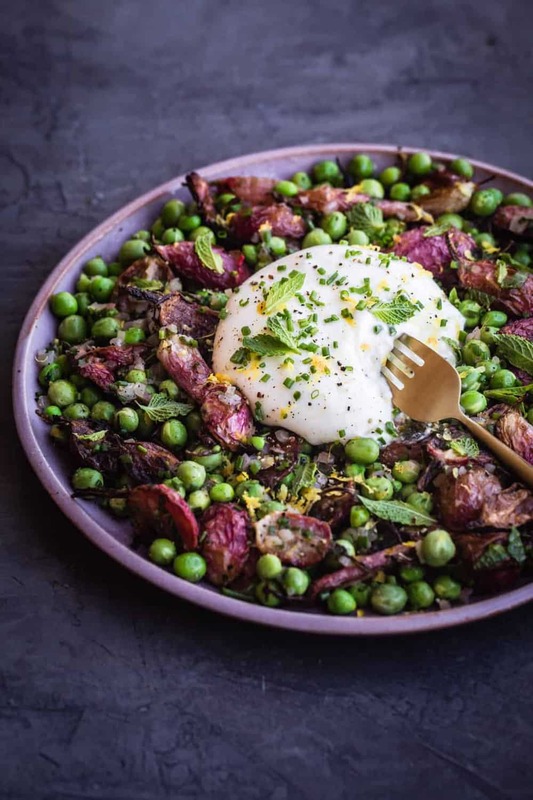 There I was in my kitchen, trying to decide what to do with my radishes, and eyeing the fresh English peas I had bought that morning at the farmers market and I’m a believer that burrata unequivocally makes every savory dish better and just like that… voila…the idea for this dish was born! 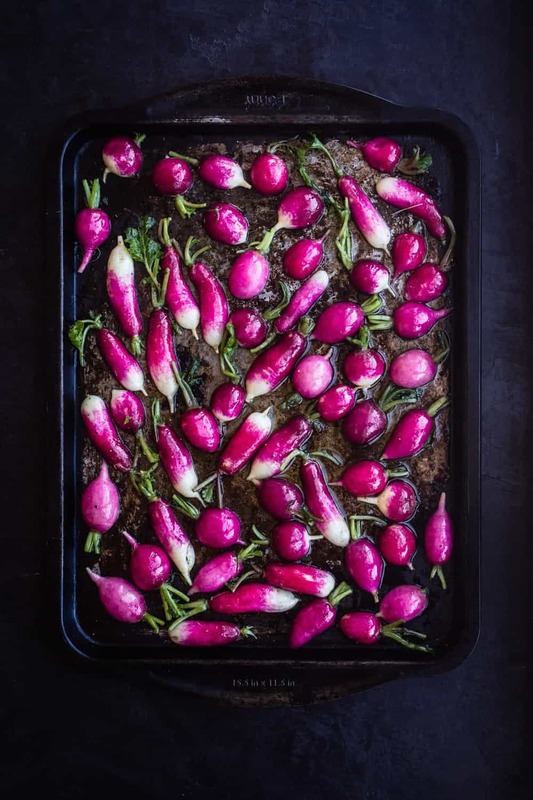 Roasting the radishes in high heat creates greater contrast between the caramelized crunchy exterior and the tender interior. 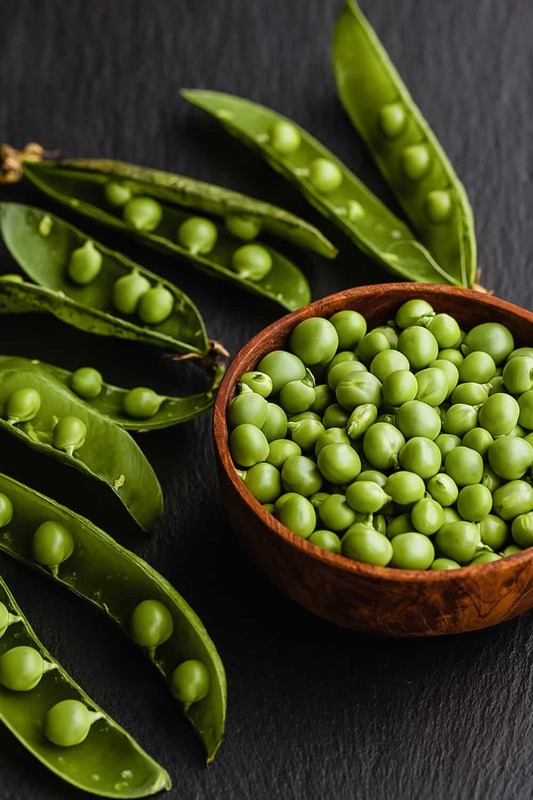 Barely cooking the peas ensures that they’ll retain their fresh and bright flavor, color and texture. The dressing is well balanced by the sweetness in the honey and the acidity in the balsamic and lemon. 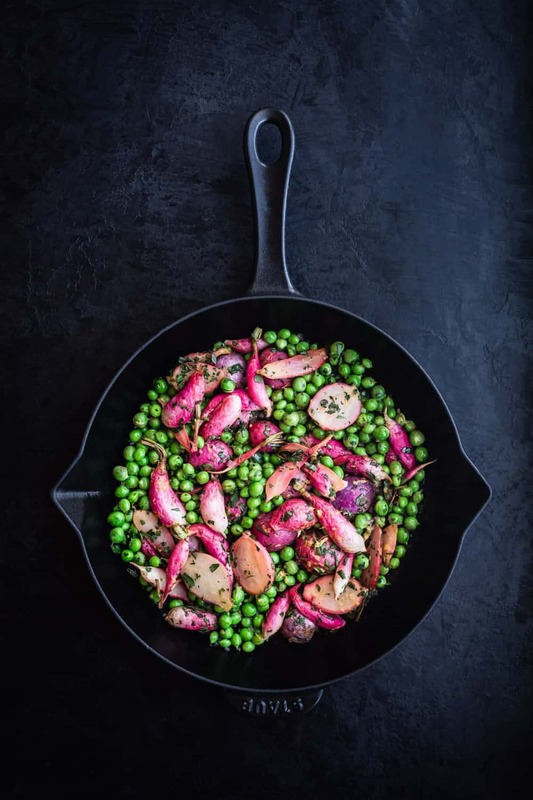 The green & pink color combo of this dish is reason enough for me. 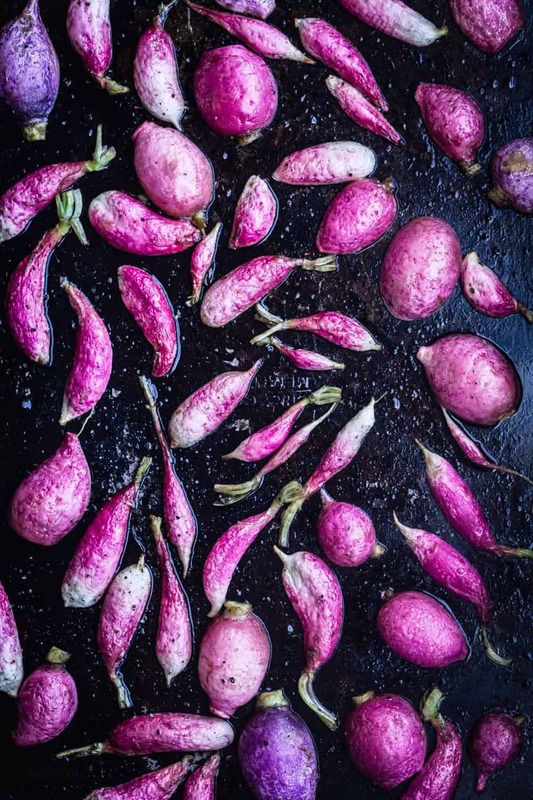 If you’ve never roasted radishes you’re in for a treat! 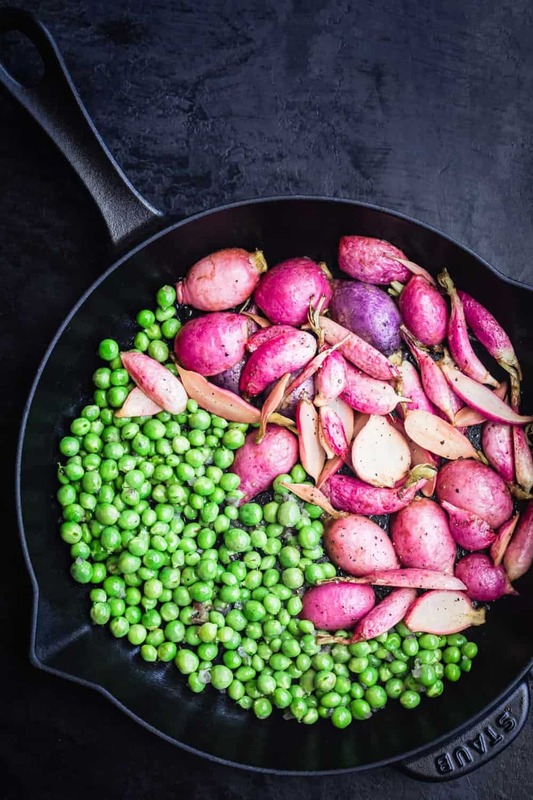 It’s so interesting how different the same veggie can taste depending on how you cook it (or don’t at all). Roasting radishes really mellows out a their spice and changes their texture to luscious tenderness. This is a fresh-peas-only kinda situation. None of that canned or frozen stuff. They absolutely positively do taste distinctively different. 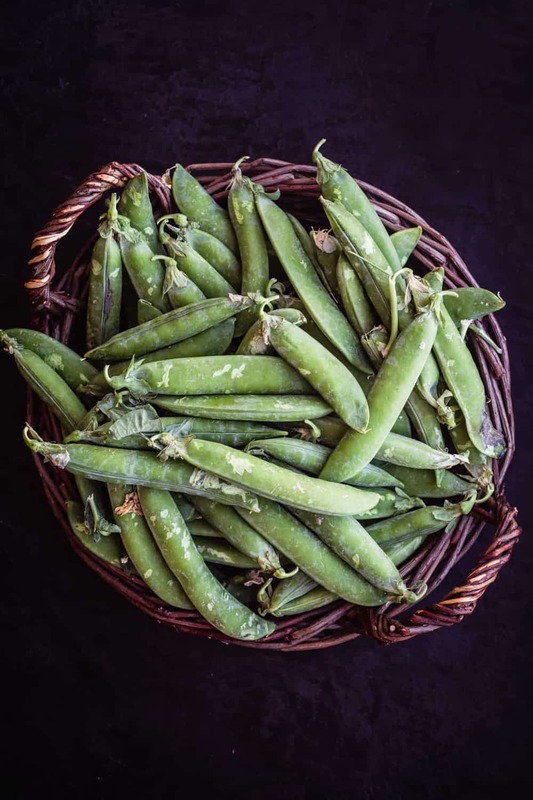 And if you’ve never shelled and eaten fresh peas you are in for a super sweet green spring and summer treat! 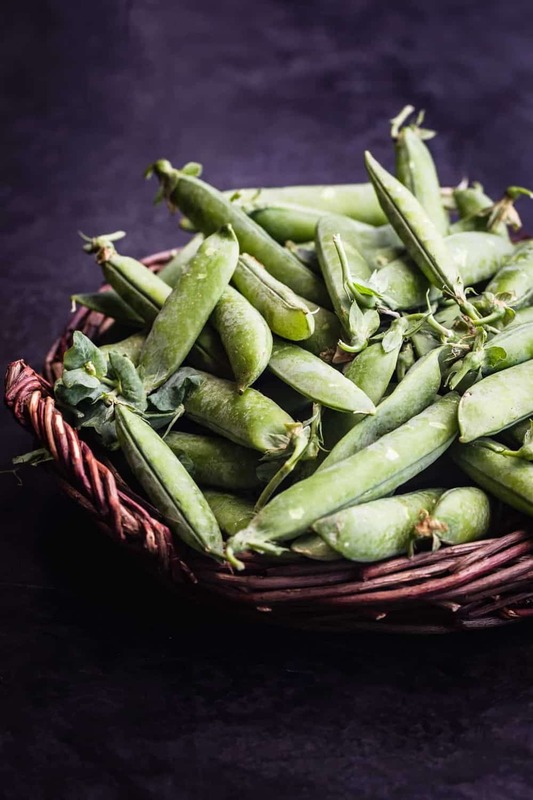 …If you are crazily craving this dish in the middle of winter where it is simply impossible to find fresh peas then sure…I’ll make an exception only for you. But if fresh peas are indeed an option, then no exceptions for you☺! Get your shelling game on I say! Wisk dressing. 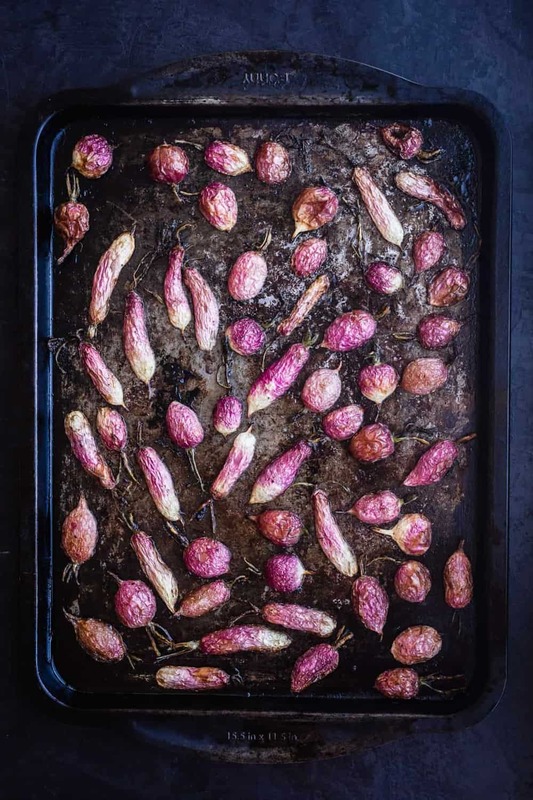 Roast radishes. 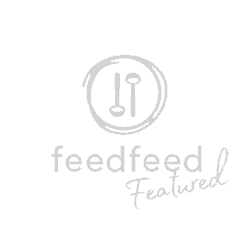 Shell peas. Saute peas. Add radishes. Add lemon zest n’juice, the burrata and enjoy! You can divide the portions evenly among plates but I’m all about the family style sharing plate. So just be sure everyone sharing gets along otherwise it could turn to a fighting-for-burrata type of situation. Please see some of my step by step shots below. Cut the radishes in half, toss with dressing and roast cut side down. 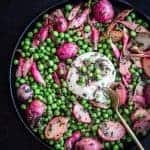 Mix radishes and peas together. 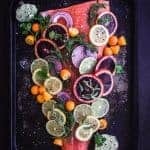 Add lemon zest and fresh herbs to the skillet. If you’re dairy free…just omit the burrata. To shell peas: open pod by pulling down on the stem to string it and gently push out the attached peas. It’s a labor of love. Enjoy! 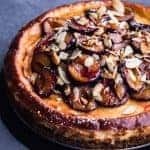 There are so few ingredients in this dish and every one must be the very BEST it can be! 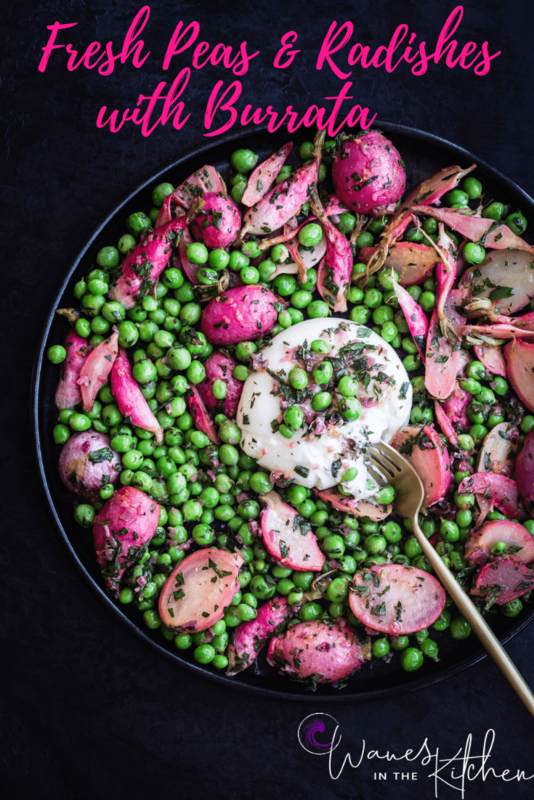 The freshest of radishes and peas and the dreamiest of burrata please. 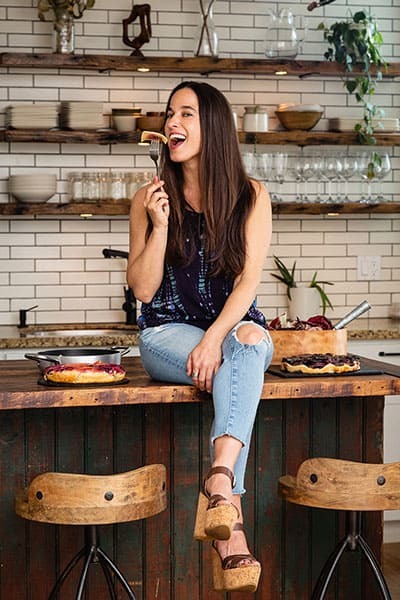 The first time I made the dish and over roasted my radishes… but it was still yum! Wisk olive oil, balsamic, honey, salt and pepper together. 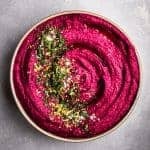 Toss dressing with radishes. Spread radishes on a baking sheet (I like to do it cut side down) and roast 10-15 min, until just crisp tender. When the radishes are roasted (you can shell the peas while they’re in the oven), melt the butter in a pan over medium heat. Add the minced shallots to the pan, cook and stir for 1-2 min. Add the shelled peas to this pan and cook, stirring constantly, for another 3 min. Add the just roasted radishes for 1 more min, mixing well. Turn heat off. Add the zest and juice of the lemon to the radishes and peas followed by the fresh herbs. Transfer to a plate, add the burrata in the middle and drizzle any leftover sauce from the pan on top. Serve immediately. Can also divvy up onto multiple plates if that’s your preference. One of my favorite dishes. Nothing like fresh peas? Agreed! You are too cute! Thank ya :). 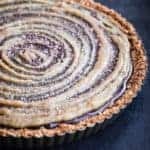 Simple, delicious, healthy. What more can you ask for? Hehehe… exactly Jacqueline! Simple, healthy and delicious is indeed exactly how I love my food :). Thank ya so much!